We’ve previously covered City University Hong Kong’s prolific work with 4D ceramic printing. The process resulted in stretchable, printable ceramic-polymer composite materials resulting in complex shapes. While it was impressive enough to 4D print these structures, now we’re seeing potential examples of their uses. Some researchers believe that ceramics could aid in improving internet communications in 5G networks and even space travel. In terms of aerospace and industrial applications, it’s fairly easy to see why 4D ceramics would be great. They change properties, size and texture based on stimuli, adapting to their environment but they also have high temperature resistance. This makes them ideal for non-metal heating apparatuses and propulsion technology. The mixture of ceramics and polymers also makes the entire structure softer and malleable. They can potentially stretch up to 3 times their initial length. The complex shapes one can produce with these along with their electromagnetic properties provides so many possibilities in electronics development, but the one use that seems most interesting is in that of 5G networks and improved signal strength. 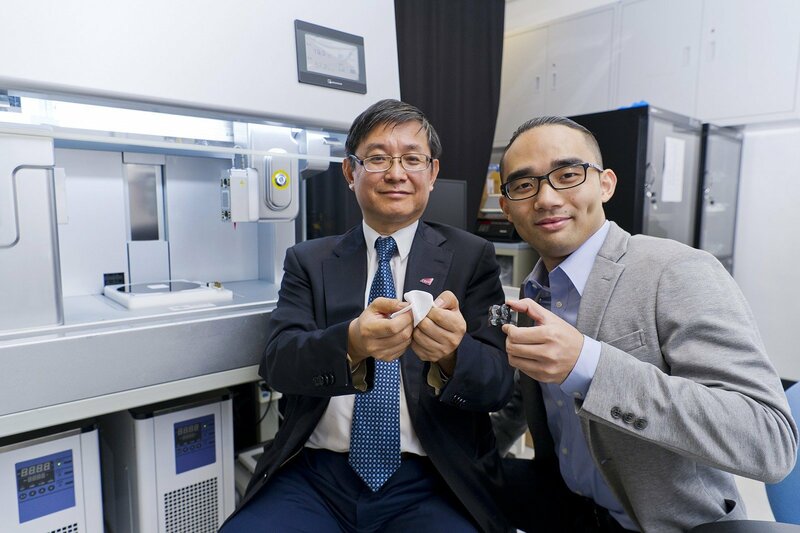 With the arrival of 5G networks, ceramic materials are playing their own unique part. Firstly, they have low dielectric loss and can be designed with excellent thermal stability of dielectric properties. They are also relatively easy to incorporate metals into, which is one of the reasons so many metal printing methods use ceramics. They also have useful magnetic and absorption properties. These properties provide ceramics with a unique advantage in the production of cell phones and routers. Moreover, the 4D printing takes it to a next level by making them both resilient and stretchable simultaneously. We would certainly expect the growth of ceramic and ceramic-polymer composite materials to coincide with the proliferation of 5G networks. Featured image courtesy of City University Hong Kong, retrieved via AsiaTimes.